Chennai, Jan 30 : The Tamil Nadu Government will appeal on Wednesday against a court verdict that lifted ban on Tamil actor and film-maker Kamal Haasan's new film `Vishwaroopam'. The Madras High Court will today hear the state government's appeal against the court verdict. A division bench of the court will hear the appeal at 10:30 am today. The High Court had rescinded a ban imposed on the movie last week by the state government. Talking to reporters in Chennai city of southern India''s Tamil Nadu state on Tuesday late evening, Advocate General A. Navaneeakrishnan said that the order passed under section 144 criminal procedures code is kept in abeyance. "The learned single judge has passed an order that the order passed under section 144 criminal procedures code is kept in abeyance and the administration has been directed to file the counter affidavit for the contentions raised in the writ petition, so this is not an order on merit, it is merely that the learned single judge has ordered to kept the 144 orders in abeyance," he said. The film, a thriller, was mired in controversy with protests by some Muslim groups over its alleged depiction of the community in a negative light. 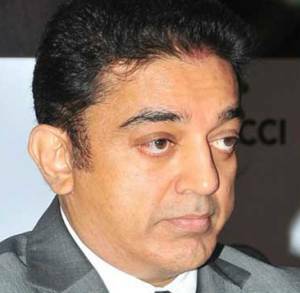 Haasan, 58, denied that his film was against Muslims. In a statement on Thursday, the film-maker said he was "ruthlessly used as a vehicle" by groups seeking a political profile and called for an end to "cultural terrorism".